In the world of eyebrow pencils I'm fairly particular. I gravitate toward brow powders for the most part because I like how they give a more natural look to my brows. Recently, I've been trying the Avene Couvrance eyebrow pencil which is an entirely different style than I'm used to. It features a pencil tip on one side and an angled brush for blending on the other. Not the typical style I'd usually gravitate toward, but I have to say, I've been loving it! Style | While having to sharpen an eye pencil of any sort isn't my favorite thing to do, I have to say sometimes it comes in handy. 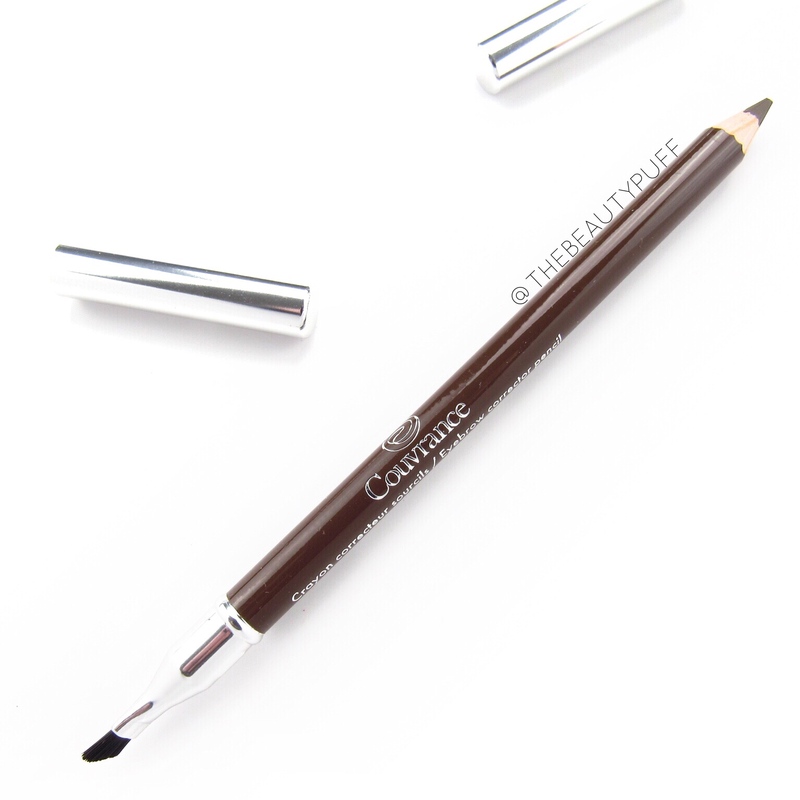 By being able to sharpen this eyebrow pencil, the end can be as precise as you need it to be without worry about it wearing down to a dull tip. I've definitely enjoyed the precision for the narrow areas of my brows. As far as the brush goes, I'm not used to seeing an angled brush on the opposite end of a brow product. Usually there is a spoolie so I might have preferred that in some cases, but an angled brush is something I can always use. If I ever make a mistake with the pencil, I can just use the clean brush to help clear it away which comes in handy. It also disperses the product evenly for a more natural effect. Formula | This brow pencil is easy to apply and blend but isn't too creamy where I worry about it smudging or fading. I like dryer formulas for my brows because I find it clings better, lasts longer, and looks more natural. I found this formula easy to work with for a natural, blended look on my brows without too much effort at all. Definitely an ideal look as we head into spring! Sometimes I get stuck in a rut with my beauty products and hesitate to try something that may not be what I'm used to. I'm definitely glad I branched out and tried a new brow product. You can find the Avene Couvrance Eyebrow Pencil on the Notino website below!